A crowd gathered on Wednesday at Lucky’s 1313 Brewpub in Madison for a happy-hour networking event sponsored by M3 Insurance and organized by The Daily Reporter. On hand were representatives of both the union and non-union sides of the construction industry, public officials and trades workers of all stripes. 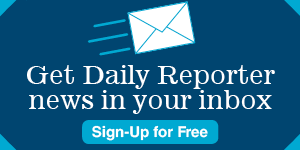 The Daily Reporter holds happy-hour events periodically to give people working in or with the construction industry an opportunity to mingle, make business connections and catch up with old friends. If you’re interested in learning more about sponsorship opportunities or attending our next Happy Hour, contact Susan Quinn at 414-225-1844 or email her at squinn@dailyreporter.com.